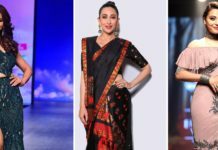 Lotus Makeup India Fashion Week "Wraps Up" In Style - Wedding Affair var admin_url = "https://weddingaffair.co.in/wp-admin/"
The last day at the Fashion Week saw designers exhibiting their renditions of sari which is long seen as a symbol of multiplicity, femininity and personality. 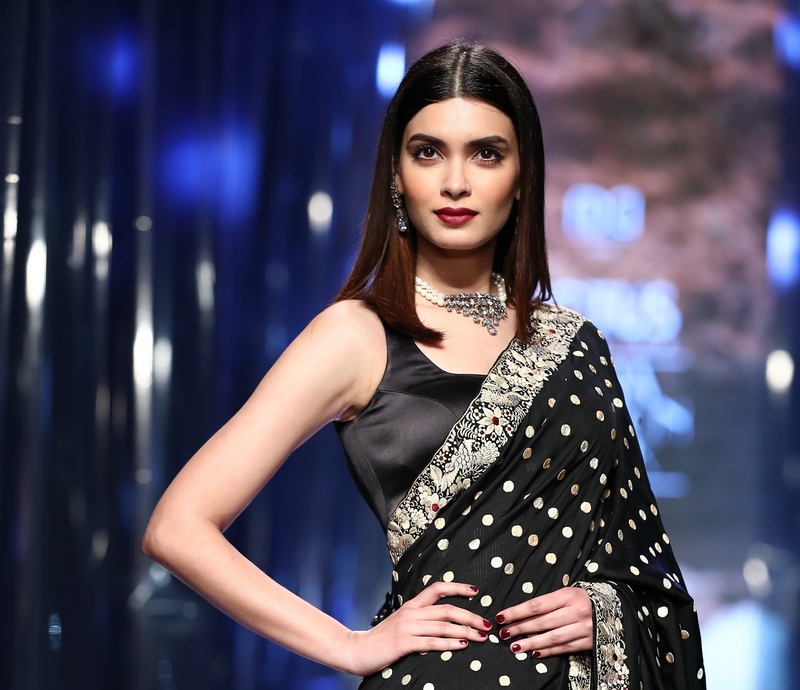 Aditi Rao Hydari, Diana Penty and others walked the ramp, draped in #SixYardsOf the ensembles designed by Rohit Bal, Wendell Rodricks, Tarun Tahiliani, Rohit Gandhi + Rahul Khanna among others. Mr. Nitin Passi, Joint Managing Director of Lotus Herbals Pvt. Ltd. and Mr. Sunil Sethi, President, FDCI were present at the occasion to pay homage to sari. 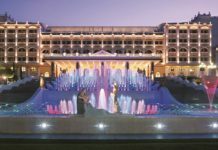 Siddhartha Tytler’s collection was glamorous with embellished net catsuits, sequined evening gowns for women and velvet joggers, embroidered net shirts and embellished evening jackets for men. Bollywood actor Jim Sarbh turned showstopper for the collection. Nikhita Tandon’s label Mynah Designs exhibited the collection ‘Every Drop Counts’, drawing inspiration from Oceans and plays with cool shades of blue, green, lilac, turquoise and black with gold and silver foil printing. ‘Love Yatri’ actress Warina Hussain looked gorgeous walking the ramp for the collection. Karishma Deepa Sondhi’s Collection ‘Chrysalis’ was a mix of hand embroidery, faux feather, appliqué, intricate beadwork and feminine prints on a range of fabrics dedicated to the birth of a butterfly. Luminous textiles with iridescence, dark and magical flavour were the highlights of designer Kommal Sood’s collection. FDCI X 6 Degree’s Young Guns segment exhibited collection by young designers namely Doh Tak Keh, Badal and Bhoomi, Disha, SGBG Atelier and Paras Chawla. Popular actor Aparshakti Khurana opened the show for designer Rohit Kamra’s bold and edgy label Modern Maharaja that boasts of achkans, angrakhas, jodhpurs, hunting jackets and bandhgalas. Producer Guneet Monga turned showstopper for the designer in a white achkan with real coral rose buttons and mirror work. A confluence of asymmetrical cuts, belted garments and structured fits with different prints and colours were the highlights of the ‘Decode’ collection by Pawan Sachdeva for which actress Radhika Apte turned showstopper.